A Paso Robles man with two felony warrants led police officers on a chase in Atascadero Thursday afternoon. 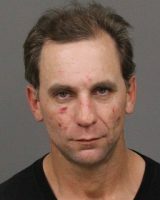 At 3:25 p.m., the Atascadero Police Department’s special enforcement team noticed Justin Lee Ladd, 37, a wanted man, in the area of the Vons shopping center. 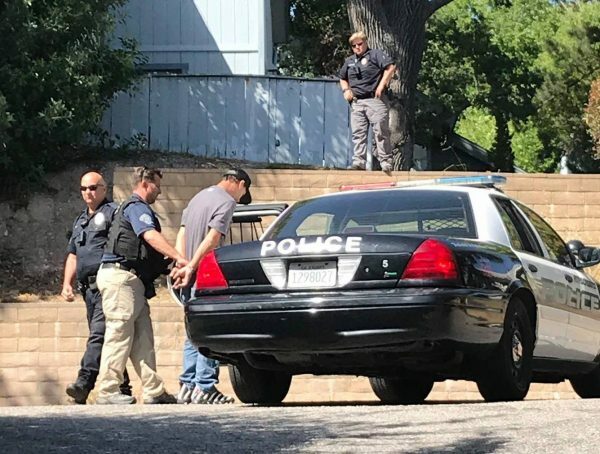 In response to officers, Ladd fled by foot, running through a business and onto Santa Ysabel Avenue, according to a police department press release. Officers then set up a perimeter and asked for help from a CHP helicopter. After an intensive search, officers located Ladd in a garage in the 700 block of Santa Ysabel and took him into custody. Police arrested Ladd and booked him into the San Luis Obispo County Jail. Ladd is charged with resisting arrest and two counts of violating probation, according to the county sheriff’s office website. He remains in custody with his bail set at $5,000.